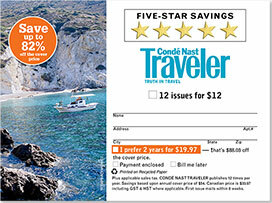 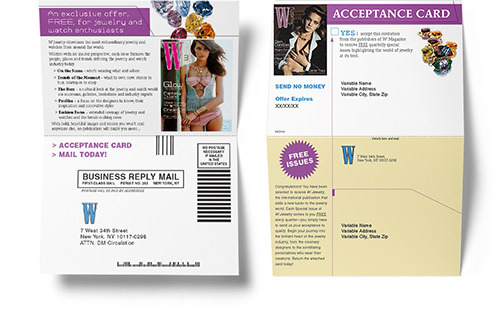 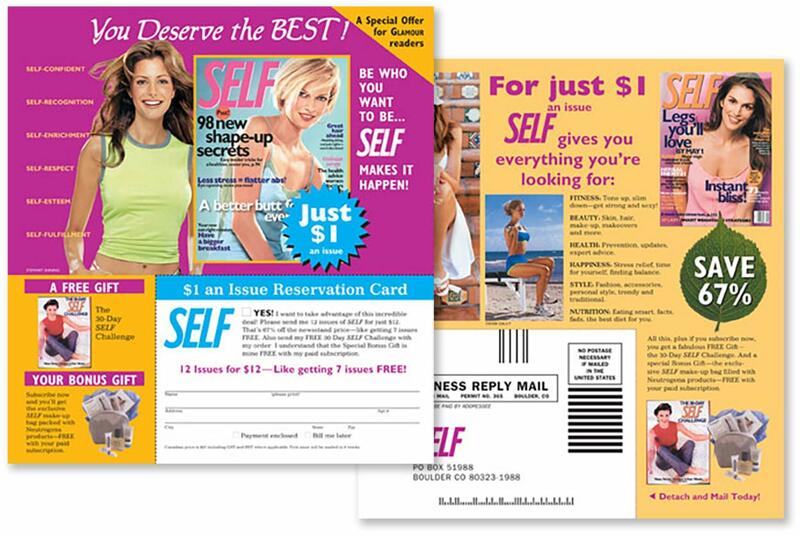 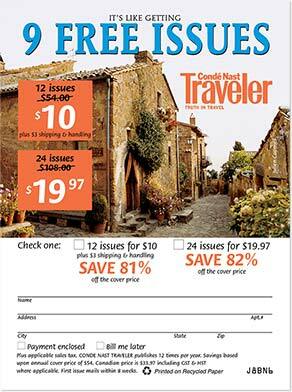 Condé Nast Publications kept us very busy for many years creating lots of acquisition pieces for them, including: direct mail, inserts, triple and double bind-ins, double postcards, self mailers, print ads and banner ads. 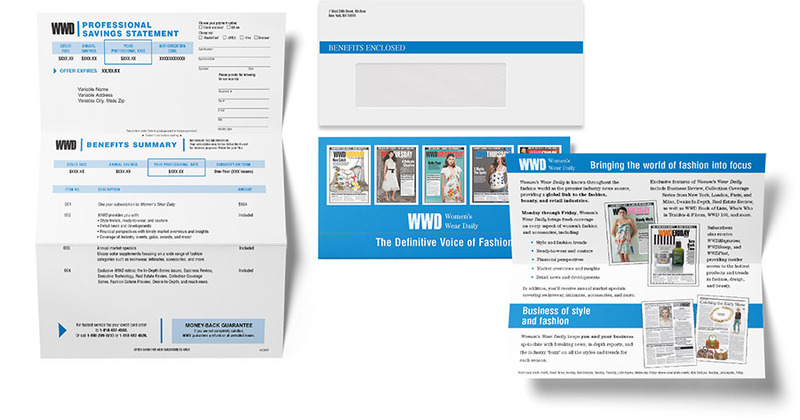 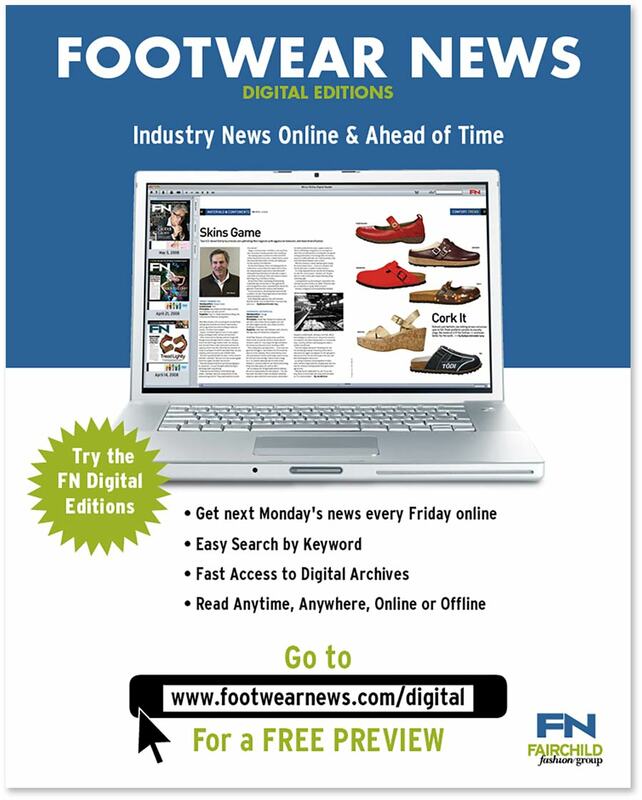 The titles we worked on were just as diverse as the projects: Vogue, Vanity Fair, Self, GQ, House & Garden, Architectural Digest, the New Yorker plus their b-to-b titles: WWD, DNA, Footwear News, W, and others. 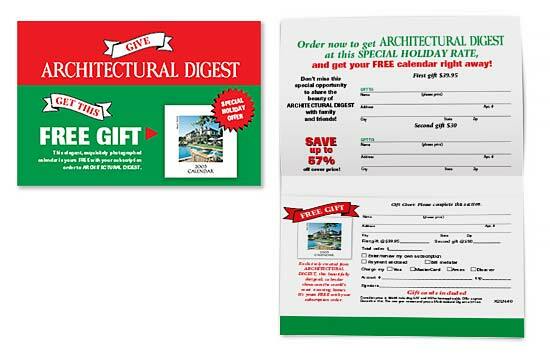 We created lots of winners — some I still see today, like the Architectural Digest Xmas blow-in envelope.